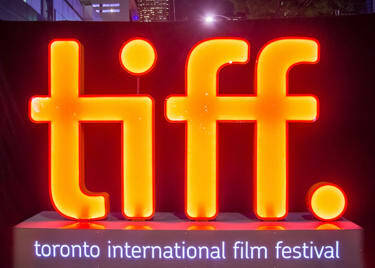 Last week, AMC headed north for the annual Toronto International Film Festival (TIFF). Over just a few days, we saw 40 films and countless celebrities. The event is always exciting — and often our first chance to scope out potential Oscar® winners. While we can’t give the spotlight to every title, we will share some of the standouts and a sneak peek of our red carpet interviews. Watch below. 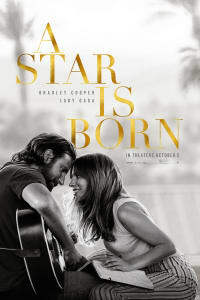 The most talked about film at TIFF was the highly anticipated A STAR IS BORN, starring Bradley Cooper, who is also making his directorial debut, and Lady Gaga. Though it’s a story that’s been told before, Cooper put a fresh spin on his version and made the romance more relevant for modern audiences. Casting the superstar songwriter as the leading lady (no pun intended) also pushed the film to the next level. Cooper and Gaga have amazing on-screen chemistry, supported by an off-the-charts soundtrack. We wouldn’t be surprised if A STAR IS BORN and its stars are nominated for multiple Oscars. Get advance tickets at AMC today for the October 5 release. Another TIFF highlight was the special screening of FIRST MAN in IMAX®. 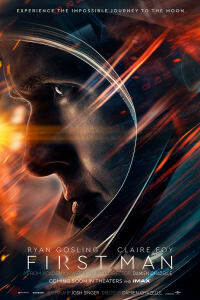 Director Damien Chazelle of LA LA LAND fame transports audiences to the moon in the intense story of America succeeding in the space race. 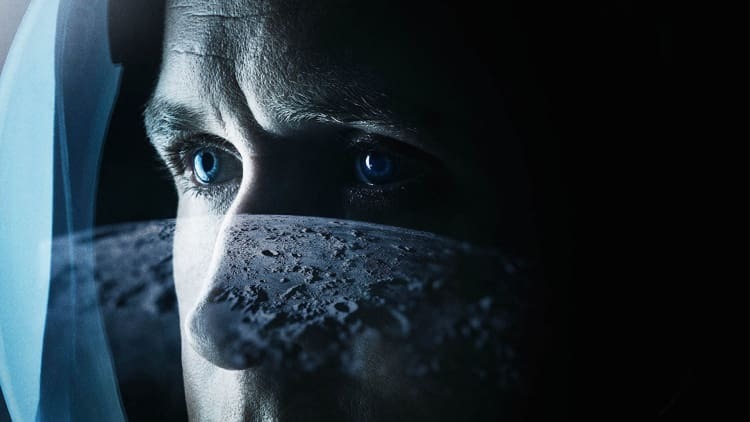 The film is a technical achievement that needs to be seen on the biggest screen possible, especially the moon landing scene in which Neil Armstrong (Ryan Gosling) takes his historic first steps. We anticipate Chazelle will be up for his second Academy Award® for FIRST MAN, which opens October 12. Drama BEN IS BACK premiered at TIFF, and we caught up with the cast on the red carpet to discuss the film’s difficult subject matter. Julia Roberts and Lucas Hedges anchor a harrowing, depressing descent into paranoia and parental love as a mother confronts her son's drug addiction on Christmas Eve. Star Courtney B. Vance described the film as a love story about “a family trying to find its center again.” The two leads deliver poignant performances that must be seen when BEN IS BACK arrives in AMC theatres December 7. BEAUTIFUL BOY is similar in topic but heavier in feel. Steve Carell and Timothée Chalamet are devastating and raw as a father and son wrestling with the consequences of drug addiction. The drama, based on a true story, is a sobering, painful depiction of a family trying to navigate a horrendous ordeal. We weren’t prepared for how heart-wrenching the film is, but star Amy Ryan said, “I want people to come away that it’s not a moral lapse; it’s a disease. People need help, and we should be there to give it to them.” BEAUTIFUL BOY, which opens October 12, is sure to be included in the Oscar conversation for months to come. 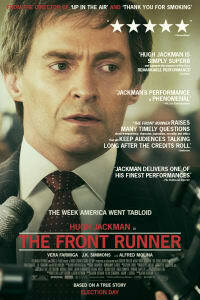 American Senator Gary Hart’s derailed 1988 presidential campaign — and scandalous love affair — is the focus of THE FRONT RUNNER, starring Hugh Jackman, Vera Farmiga, Kaitlyn Dever and Sara Paxton. Each actor is given an opportunity to shine in the bio-drama, and Jackman and supporting cast member J.K. Simmons may earn Oscar nominations for their performances. 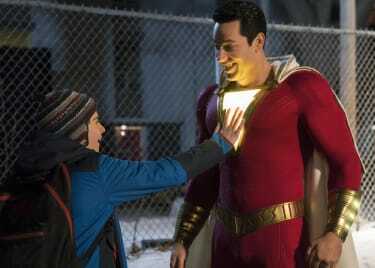 The storyline is solid, as well as topical, and one can’t help but make comparisons about how things have changed from then to now. Check back at AMC for tickets to the release November 21. 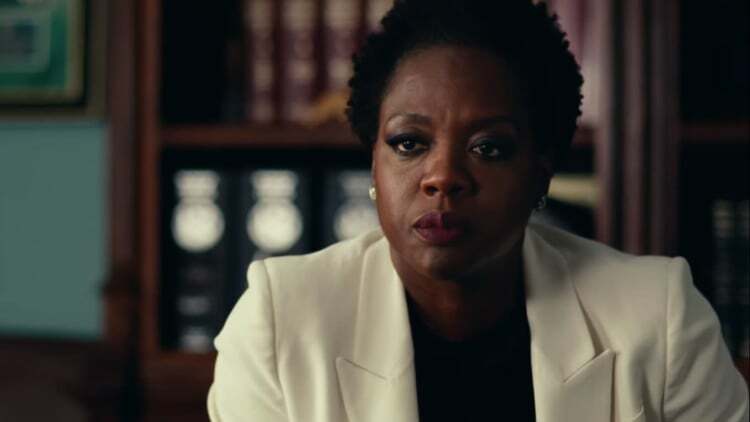 “I’m at the point in my life where I want to be bold, and Steve McQueen was that sort of leader,” star Viola Davis said in a red carpet interview about her newest film, WIDOWS. The emotionally deep and honest drama unites four powerhouse actresses — Davis, Michelle Rodriguez, Elizabeth Debicki and Cynthia Erivo — at their best on the big screen. The story and characters are well-developed; the direction is clever and not overdone; and there’s action to boot. 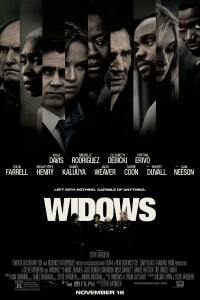 Director Steve McQueen is truly a force, and 20th Century Fox was smart to get behind him for WIDOWS, which opens November 14. At first glance, DESTROYER may seem like a fairly typical crime drama that leans heavily into commonly used flashbacks to tell the story; however, the film has what many others in the genre don’t: a strong female lead. 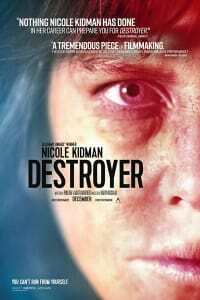 Gritty and rough, DESTROYER solidifies Nicole Kidman as an Oscar contender in the Best Actress race. The stripped down-and-dirty LA cop story borrows from HEAT and END OF WATCH, with Kidman disappearing into the haunted role of undercover detective Erin Bell, who’s trying to close a case that ruined her life. We, and the rest of the TIFF audience, were often left wondering whether to root for or against her — she’s the epitome of an antihero, and she’s played well by an almost unrecognizable Kidman. Don’t miss her transformation when DESTROYER arrives in AMC theatres on Christmas. 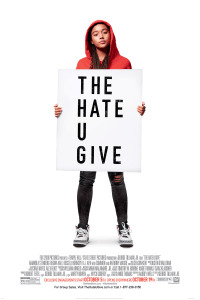 Based on the masterpiece written by Angie Thomas, THE HATE U GIVE centers on rising starlet Amandla Sternberg, who plays a teen stuck between two worlds. After witnessing the fatal shooting of her childhood best friend at the hands of a police officer, she must find her voice and stand up for what’s right. While the police shooting of an unarmed black teen is the driving force, this powerful story, at its heart, is about a young girl discovering her true self. It’s topical, relatable and effective in delivering its inspiring message. Check back at AMC for tickets to the release October 5. 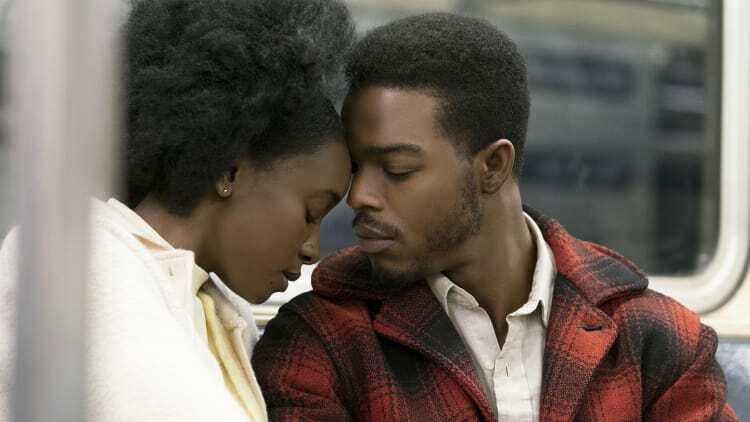 It takes a certain sensibility to feel, understand and embrace IF BEALE STREET COULD TALK, which opens November 30. Director Barry Jenkins’s romance-drama is slow, deliberate and specialized in tone. 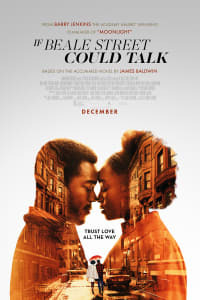 The dialogue was taken straight from James Baldwin’s novel of the same name and becomes that much more meaningful for it. 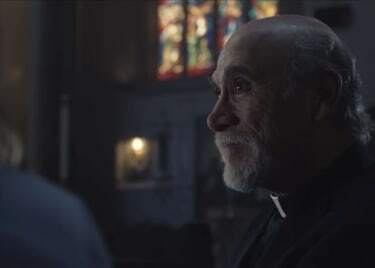 The art on screen is carried by a moving score that becomes a character itself, which will leave some viewers with full and broken hearts at the same time. Director Brady Corbet’s musical drama, VOX LUX, took us some time to process — especially the first polarizing 10 minutes — but eventually the story gave way to a character study in fame, excess and humanity. Star Raffey Cassidy is fantastic as the younger of two sisters, who begins to navigate her way through growing up in the spotlight after a terrible event, while Natalie Portman brings the role home as her, 18 years later. With a tour-de-force ending that will have you holding your breath, VOX LUX may be in store for an Academy Award, as well as Portman and Corbet. most of the talent aren’t well-known — some aren’t even actors — but they do a remarkable job adding dimension to these characters, and Suljic is a standout as the lead. 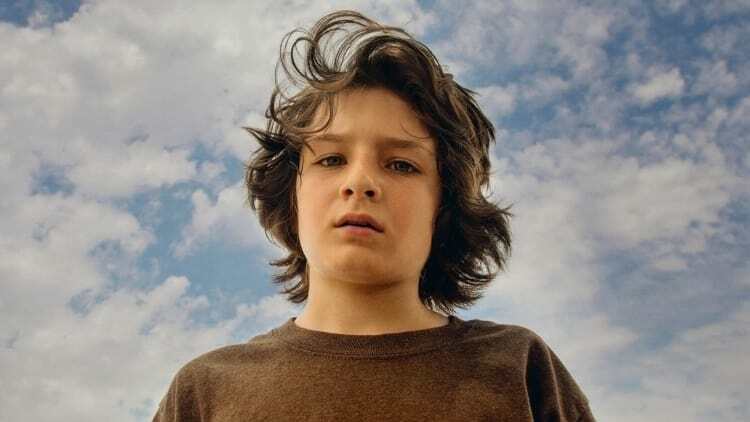 While MID90s is rooted in skateboard culture, Hill has a way of making the content relatable. Check back at AMC for tickets to the release October 19. 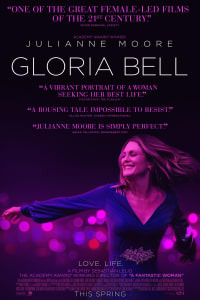 Julianne Moore is fantastic in GLORIA BELL, a romance-drama and another TIFF crowd pleaser. The star plays a free-spirited woman in her 50s who seeks out love at LA dance clubs. The 70’s and early 80’s generations will enjoy the film’s nostalgia, but anyone can relate to the storyline of looking for a connection in life. 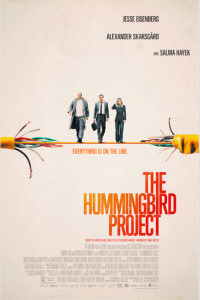 Vincent and Anton Zaleski (Jesse Eisenberg and Alexander Skarsgård, respectively) embark on an insane adventure they aren’t fit for in THE HUMMINGBIRD PROJECT. Writer-director Kim Nguyen said, “Chemistry is all about actors being able to be generous with each other,” and these two actors were more than giving, effectively playing off one another in the drama-thriller. Mark your calendars and visit the AMC Scene often for updates about these films and more.